Amazon.com is pretty much world-famous for their customer-centric approach. Product Managers who want to build something new are supposed to start with their press release for the launch, and work backward from there. There’s no PowerPoint allowed, just written user goals and statements of purpose and goals, from which the product evolves to it’s launch. It seems that Jeff Bezo’s customer-first strategy is the be-all, end-all of Amazon’s success, and works brilliantly. Except when it doesn’t – let’s consider this an analysis of the exception proving the rule, shall we? 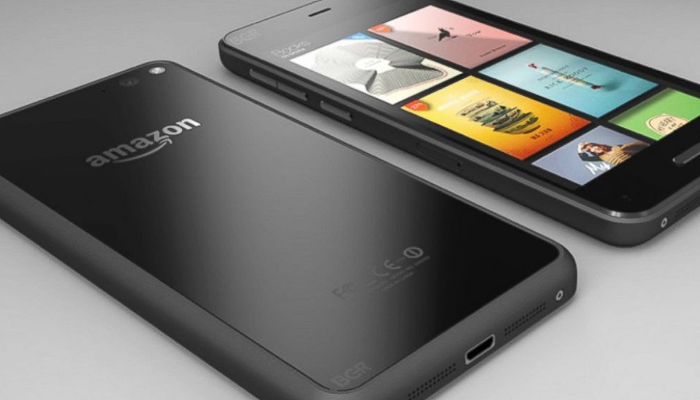 Throughout 2013 and into 2014, rumors were flying that Amazon was working on a follow-up to the Fire tablets that was expected to be a game-changer – the Fire Phone. With such a focus on customer needs, customer satisfaction, solution-oriented development, and strict go-to-market strategies, everyone expected the in-development Fire phone to be a game-changer. Based on what they’d done with the Kindle e-reader and the Fire tablets, everyone expected something inexpensive and competitive that would seriously challenge the big players in the market. Very few people expected that the Fire Phone would be such a complete disaster. I was there for the one of the launch parties, and spent the entire night waiting for the important reveal, the thing that they were holding back, that last “gotcha” that would seal the deal and make the Fire Phone an indispensable part of the Amazon ecosystem and a strong move against established names in the phone world. But it didn’t happen. The “reveals” were one big disappointment after another. The OS? A branched version of Jellybean that was two years old on the day it was released. Firefly? Impressive, but could easily have been added to the Amazon app on existing Android devices (as it is now). 3D capabilities? As one of the few 3D phones on the market, the selection of apps that would ever possibly use it was weak. And, it turns out, the main reason why the Fire Phone was so dramatically tangential to what the market wanted is that Amazon didn’t listen to the customer; they listened to Jeff Bezos. Jeff wanted a proprietary operating system – so they branched Jellybean. Jeff wanted Firefly to exist only on the Fire Phone, so it was built into the OS. Jeff wanted 3D capabilities, so the hardware and software was added in. All of these factors served to bloat the cost of the phone and hamstring it from a strictly competitive standpoint. Add in other factors related to the aged tech (lack of Bluetooth LE), and the exclusive partnership with AT&T, and the Fire phone fell flat on its face from day one. And, lest we think that this was just another small experiment on the part of Amazon, the ramifications of the Fire Phone’s failures were very, very real. Amazon’s stock fell 10% the day prior to the phone’s official release date; less than 35,000 phones are estimated to have been sold in the first 20 days; and, worst of all, Amazon took a $170 million dollar financial hit due to the costs of developing the phone and unsold inventory sitting in Amazon’s warehouses. Bezo’s self-described “bold bet” failed to pay off in a very big – and very public – way. Jeff broke his own code, and in doing so proved that you ignore the market and your customers at your peril, no matter how interesting and innovative your ideas are. No matter whether you’re the product manager at a small startup or the CEO of a massively-successful online megastore – you start with the customer and work backward. And I’m quite certain that future iterations of the Fire Phone (Amazon has stated they have no intention of abandoning the concept) will take the needs of the general consumer into account, and not the individual tastes of the company’s leadership. There are many lessons that product managers and business strategists can take away from this story. First and foremost is that you can never presume that you know what the market needs – no matter how well you think you represent the customer, you need to validate your ideas and your plans to ensure that they match up with the reality of the market around you. Second, no matter how big a player you are and how much money you have to throw at a product, if you’re not focused on solving a set of valuable market problems, you’re just throwing that money away. And third, when you have a set of guiding principles, values, or vision that have worked for you in the past, use them and leverage the culture that they’ve established; making drastic changes in approach invariably causes more confusion and waste than it does progress.